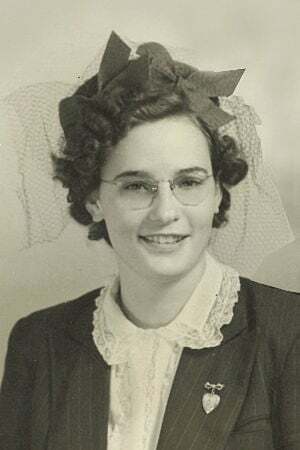 Elsie Rena Weiher Bickar of Chehalis, WA, passed away Sunday, April 14, 2019, at the age of 96. 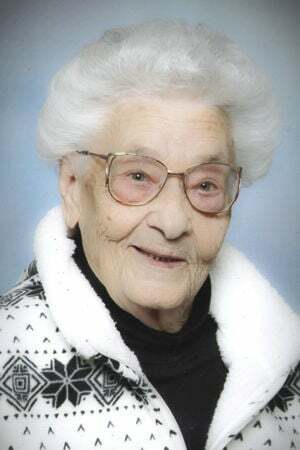 Elsie was born Feb. 27, 1923, in Wray, CO, to John A. and Mary (Redden) Weiher. Elsie lived her early years in Colorado and Missouri before coming to the state of Washington and moving to Onalaska. There, she met and married Herbert Bickar on Sept. 27, 1942. They moved to Castle Rock in 1955, and then in 1980, Elsie and her husband moved to the Chehalis/Centralia area. Elsie worked for the Castle Rock school district for many years as a custodian, then went on to work as a cook in Cowlitz and Lewis Counties. Elsie spent her last 20 years before retiring working for King Solomon’s restaurant in Centralia. Elsie was a dedicated wife and mother to her three children. Elsie took much pride in her six grandchildren, whom she loved very much. Elsie is survived by her daughter Margaret Cantonwine, of Chehalis; son John Bickar (Marlene), of Kelso; six grandchildren, Curt, Cricket, and Kasea Cantonwine, Lori Bickar, Lisa Bickar-Britt, Tony Bickar; five great-grandchildren Tyler and Cody Bush, Natasha Bickar, Jacob, and Lucas; six great-great-grandchildren, Elijah Canalas London, Maddison, Jamie, Jaedyn, and Mason. Preceding her in death are her husband of 46 years Herbert A. Bickar; along with her beloved son Raymond H. Bickar; brothers Herman, Irvin, Oliver, and her twin brother Everett Weiher; sisters Mabel Serl and Ruby Shepard; and daughter-in-law Barbara Abbott Bickar. Elsie was loved by those who knew her. She will be truly missed. At Elsie’s request, no service will be held. A memorial reception will be held at a later date, yet to be determined.